The upcoming general elections taking place in Kenya on August 8 represent a potentially seminal moment in the country’s history. 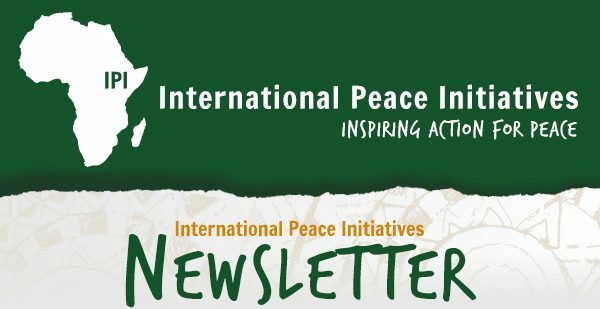 International Peace Initiatives has always provided peace programs in Kenya and has worked with local grassroots organizations as well. The upcoming Kenya elections in August have impacted the most vulnerable Kenyans. 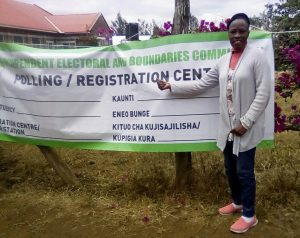 As in past elections, IPI continues to provide training programs to help facilitate peace and a better future for Kenya. This year we have been hosting workshops to prepare participants to become leaders who affect change in their families, schools, communities and the country. The election brief below is written by IPI Board Member Jeffrey Smith. Kenya is arguably East Africa’s most important country given its vital economic and political importance, as well as its position as a maturing democracy relative to the hardening autocracies that populate the East and Horn of Africa. What is more, the specter of the violent 2007 elections and its aftermath — which resulted in over 1,000 deaths and brought along with it International Criminal Court indictments against the current president and vice president — remain at the forefront of many minds. Reports of an uptick of violence and the prevailing ‘zero sum political mentality’ of leading politicians have Kenyan citizens on edge. Adding to this potentially toxic mix of factors is that a majority of Kenyan citizens — about 70% — are below the age of 35 and are increasingly frustrated with their lack of economic opportunities. Unemployment and underemployment are rife. Many jobs and the opportunity to progress in one’s career are based on one’s tribal or ethnic identity, as opposed to merit and skill level. Overall, Kenya is emblematic of a wider paradox in Africa: the richest continent in terms of resources remains the poorest in terms of sustainable human development. Currently, there is a pressing need for the world to rally around a free, fair, transparent and peaceful election process in the coming months to ensure that the country provides a positive example for others across the region and continent at large. At a bare minimum it must be both acknowledged and advocated that the mere absence of violence does not in itself equal a credible process in Kenya, or elsewhere. The bar must be raised. Indeed, Kenyans in particular, and Africans in general, deserve much better. IPI Board Member Jeffrey Smith is the founder and executive director of Vanguard Africa, a nonprofit organization that advocates for free and fair elections in Africa and supports pro-reform leaders. He has more than a decade of experience in human rights advocacy, pro-democracy and research work on Africa, including prior positions at the Robert F. Kennedy Center for Human Rights, Freedom House, National Endowment for Democracy, Institute for Democratic Alternatives in South Africa, and UNESCO. Jeffrey has published extensively on US-Africa policy and human rights issues for major international publications. He frequently appears in media outlets as an expert commentator and his work was recently highlighted in this article on good governance in Africa, as well as the Global Dispatch, on June 26.